There were all sorts of things that wound me up about the government’s response to yesterday’s kids’ strike, but by the end of the day the number one accusation I was reeling about was that the tens of thousands of parents and teachers who supported the strike did so because they do not have high enough expectations of children’s literacy. There are many things I may have fallen short of as a teacher and a parent, but having high expectations most definitely isn’t one of them. It is just that, like many others, I seriously doubt the validity of the narrow interpretation of literacy that success in the SATs exams hinges upon – and fear for our children’s sanity when they are expected to be able to absorb and regurgitate complex grammar knowledge that stumps everyone from masters graduates to the very Schools minister who champions this rigorous approach to assessment. I am not convinced, actually, that Nick Gibb knows much about the content of the tests he reveres. In press statements yesterday he talked about the importance of basic comprehension and the use of capital letters. It made the people opposing the tests look pretty stupid – and fuelled the hundred of trolls who engulfed social media to pour scorn on the intentions of parents who pulled their children out of school. The fact is, though, that we’re not just talking about learning basic literacy here: we’re talking about learning (by rote) huge swathes of linguistic terminology. There are many people who have written about this more expertly than I have – I especially like Michael Rosen’s blog for no nonsense critique of literacy in schools. What I want to highlight here though is not only that what primary school children are being expected to learn (and be summatively tested on) is excessive and in many case irrelevant, it is on the most basic level the opposite of what literacy really is. The simplest definition of literacy is being able to read and write. As an English teacher, and then a parent, and now a writer, these are both skills that I believe of course to be essential: being a confident reader and writer opens a door to a whole other world of learning and communication. But is being able to confidently label fronted adverbials and subordinating conjunctions really a central part of literacy, or even any part of it, for ten year old children? I think not. Nicky Morgan says that the new tough regime of SATs exams will help increase the numbers of young people achieving the top grades at GCSE, but if it extinguishes the curiosity that drives the desire to learn then there’s no way it will do that. She insists that the knowledge that the SATs examines will, once children have mastered it, allow them to be more creative. But in saying this she is completely ignoring the much-researched developmental window before the age of seven which has inspired play-based curricula worldwide – and leads to many successful education systems holding off from any formal education for children before that age. The government accuses us of dumbing down, but I would argue that what they are doing is dumbing down our children: producing a factory line of automatons who have missed out on the opportunity to fully develop their own personalities or a sense of who they are as members of our society. My concept of literacy is considerably more ambitious. My desire to truly understand how children become confident readers and writers has been rekindled by watching my three year old son learn and grow, and that is what is at the root of my fear of what the SATs, and the pedagogy that is seeping out from them, is doing to our children. My son is a reader. He tells me the story of pictures in the books we share, interpreting the images themselves and augmenting that with his imagination and his memory of the words being read aloud. He seeks out letters in the world around us – not yet being able to differentiate between more than a handful, but knowing that letters make words and that words label things and concepts. I am confident that, as we continue to make books and stories an integral part of our lives, he will make the transition to reading independently. He will begin to use the multitude of cues available to us as readers to make his own sense of the written word – and he will want to, because he already knows what treasures there are to be found within the pages of his books. As an aside, I have to admit I really don’t understand the government’s obsession with synthetic phonics when it comes to teaching children to read. Some degree of phonics, sure. But to strip back the process of reading to solely decoding? To insult children’s intelligence by making them read ‘nonsense’ words just for the sake of catching them out? That doesn’t make sense to me . But I guess it’s easier to test than a system that recognises the real nuances that underpin the process of becoming a confident reader. My son is also a writer. Don’t get me wrong – he can’t actually form letters yet. In fact he shows very little interest in concentrating on the fine motor skills that will eventually lead to him writing down the thoughts that are in his head. But what thoughts he has! He picks up new vocabulary like a sponge, knows exactly how to use words to achieve particular effects, mirrors the complex sentences he hears and reshuffles them for himself to suit his purpose. He tells stories to his teddies and his trains, comes up with brilliant if unlikely explanations for particular juxtapositions of objects in his play, and is developing a very strong line in persuasive reasoning. When he is ready to put pen to paper I have no doubt that these skills and knowledge will underpin his actual writing, but he already demonstrates the aptitude that I admire in any writer who has mastered their craft. I know my son is not unique. He is doing exactly what every three year old instinctively does – experimenting with language and relating it to the world around him. But I worry about what will happen if he is asked to put all of those thoughts and ideas into nice tidy boxes for the sake of standardised assessment. I worry for him, and I worry for all of our children. This worry has not come about because my expectations are low. I have the highest expectation of young people, one that will empower them and motivate them whilst they are at school and throughout their lives: I expect them to want to learn. If they want to learn, if they want to achieve, if they are inspired, they will use that as a drive to overcome whatever obstacles are in their way – including those basic reading and writing skills. Hell, one day they might even be driven by the desire to be able to confidently identify those subordinating conjunctions and fronted adverbials. But if they aren’t? I think they’ll be ok. I am not sure though that our kids will be ok if this government is allowed to plough on unchecked with its imposition of an increasingly restrictive straightjacket on literacy and learning. And it is our responsibility to stand up for them. May 3rd 2016 was a momentous day, and it was incredible to see the impact that parents can have on the dialogue surrounding education in this country. We cannot stop now though: parents and teachers need to draw strength from this groundswell of passion and purpose. There is still so much work to be done. This entry was posted in Sophie is educating, Sophie is parenting, Uncategorized and tagged #kidsstrike3rdMay, #THISislearning, education, Government, learning, literacy, Nick Gibbs, Nicky Morgan, parents, reading, SATs, writing on May 4, 2016 by sophieblovett. Today is the day: the day that thousands of parents up and down the country refuse to accept for a moment longer that what the government is doing to our education system is ok. I am so impressed and inspired by how the Let Our Kids Be Kids campaign has grown, in little over a month, from five parents concerned about the impact the SATs are having on their own children to a national movement. It has been covered by all major news outlets in the UK, with public debates raging about the damaging nature of the SATs and the extent to which taking kids out on strike will have an impact. To that I would say: it has already had an impact. Teachers and school leaders across the country have come out and expressed their thanks and support for the campaign, the NAHT has passed a motion calling for a complete review of primary assessment, and the DfE has shown its disquiet in public statements from Nicky Morgan and the release of pro-SATs propaganda which, as all of us would expect, shows a complete misunderstanding of what constitutes meaningful learning for our children. If you are taking part in the strikes, awesome. If you can’t – whether because it’s not right for you and your kids, or you don’t have kids of the relevant age, or you don’t have kids – then that does not mean you do not have a part to play. If you are keeping your kids off school today, then please include the hashtag ‪#‎THISislearning‬ in your social media posts about whatever wonderful activities you get up to. If you will not be taking part in the strike for whatever reason, then please use the hashtag to add your voice to the debate – share with us images, experiences, quotes, links, or anything else that will help this government understand what learning really looks like. So many people I know are despairing about the state of our education system at the moment, but too many of them believe that there is nothing they as individuals can do to make a difference. But we are not just individuals any more, and now is the time for our voices to be heard. This entry was posted in Sophie is, Sophie is educating, Sophie is parenting, Uncategorized and tagged #kidsstrike3rdMay, #THISislearning, Government, learning, SATs, school on May 3, 2016 by sophieblovett. Whilst momentum gathers for the kids’ strike on 3rd May, there are still a lot of parents who are undecided. Unsure if they are the sort of people who do this sort of thing, unsure if they or their kids will be punished for taking a stand, unsure if the issues at stake actually effect them very much at all. One of the things I am hearing time and time again is that people love their schools. They don’t want to insult their kids’ teachers, they don’t want them to feel like they’re doing something wrong. But seriously – the time has come for us to act together. I remember – when I was teaching – having conversations with colleagues despairing over the negative impact of the Key Stage 3 SATs. We longed for parents to recognise how counterproductive this whole process was for their children, to petition us to stop the tests, to refuse to send their children into school. But they never did. Fast forward ten years, and I am thrilled to see parents making their voices heard to say enough is enough. I am a parent now, too: and whilst my son is still a few years away from the Key Stage 1 SATs that initially inspired this campaign, I am already concerned about their impact on his future education. So much so that, at the moment, I can’t see any other option but to homeschool. It’s not just the SATs though. There is so much that has changed in education in the three years since I took a step away from teaching, so much that the Tories are getting wrong. So if you’re doubting whether or not to take a stand, wondering whether or not it applies to you and your kids, then I ask that you take a few minutes to consider this. I am 38 years old. I have an A* in GCSE English, and an A in A-Level. I taught English to secondary school students for over ten years, and was head of faculty for the last two of those. I am currently in the process of writing my third novel. And yet, last weekend, I sat a sample SATs test, and I only managed to get 50%. It’s taken me this long to admit it, because on one level I am mortified. But actually – I had trouble even reading to the end of the questions without glazing over, and my considerable knowledge of the English language has taught me that many of the answers would most definitely be open to debate in the real world. I am (thankfully for me) far from the only well-educated person to have taken these tests and be utterly humiliated. Teachers, academics, writers, and many more people who in theory should know better have fallen foul of the particular demands of these exams. It’s not that the technicalities of grammar aren’t important – it’s just that there are so many different ways to learn about them than by being able to recall the ins and outs by rote. It’s ok for us – we have already found our path in life, have already succeeded. But what of the ten year old who takes these tests and declares themselves a failure because they are not able to jump through this government’s spectacularly misplaced hoops? If this action were to spare just one child from that fate, then it would have been worth it. And the fact is, our children are suffering. One in ten children in the UK is diagnosed with a mental health problem. That is an alarming statistic, by anyone’s standards. It is a leap to say that this is entirely down to the assessment regime, but there is a general consensus that it is a major factor. It would be very hard not to jump to this conclusion when reading the many testaments from parents that have come out of the Let Our Kids be Kids campaign. There are so many heartbreaking stories, but just this one from a parent of a year 6 boy should be enough to make us want to act. In fact things are getting so bad that questions are being raised about whether the way in which our children are being treated in the education system is in breach of their human rights. I would very much argue that it is, and cannot imagine subjecting my son to the situations being described by parents in just three years time. He’s ok right now, but it is the world that he is entering into that scares me. Very few protests have the potential to directly impact on the people who are taking a stand: it is future generations who will benefit most. I’ve been discussing this this week with my soon-to-be-a-junior-doctor husband. The doctors on the picket lines, the ones resigning their posts and speaking out so eloquently, are not protecting their own interests. The people who will immediately be affected by the new contracts are final year medical students, like my husband, and all of the future doctors currently slogging their way through the training system. It is likely that all junior doctors will ultimately be affected, but the action they are taking at the moment has very little to do with them and everything to do with the bigger picture. It’s not a direct parallel to the kids’ strike, but it’s not a million miles away either. The parents who initiated this whole campaign have children in year two. Those children will still, most probably, have to sit the tests this year (unless of course a miracle happens and Nicky Morgan actually listens). The children who will most benefit, though, are the children who are facing the SATs in the years to come. The NUT are considering a boycott of the SATs for next year: they will be even more likely to act with the strength of the nations parents behind them. The pressures on the curriculum at all levels is completely squeezing out arts subjects. The proposal to force all schools to become academies is essentially a back door to privatisation where we lose all ownership and democratic control of our schools. The knock on effect of the raising of the bar at Key Stage 1 is that Early Years education as we know it is under threat. Teachers are feeling such despair at all of this that they are leaving the profession in droves. If you are sitting thinking that it’s not really about you, that there is nothing you can do to make a difference and that your kids seem ok right now so it might be better not to rock the boat, then you are doing exactly what the government wants you to do. And if you are not that bothered by the points that I’ve made above, then fair enough. But if you think our kids – your kids – deserve better, then maybe now is the time to make a stand. There are 16,743 people behind the Let Our Kids be Kids campaign on Facebook, and that is growing by the second. News outlets across the country are starting to take notice of the movement that is emerging. In my small town alone I know that there are two major television news stations planning to cover the events of the day. And the question I would ask you is, what would you like to show them? Would you like them to see just a few parents out there making their voices heard, and silently applaud their intentions whilst not being quite brave enough to make the move yourself? Or would you like to see parents out there in droves, saying that our children are better than this? We are all better than this. My son is only three, so we cannot strike as such. We will be doing what we do every day which is to seek out learning in the world around us. I am only hoping, on the 3rd of May, that we might come across you, and many, many other parents too, doing exactly that: and making the government fully aware of just how much their plans for our children are unwelcome. In the absence of any real striking power my son and I, along with many other parents across the country, are participating in the #THISislearning campaign. Click here to find out more! This entry was posted in Sophie is educating, Sophie is parenting, Uncategorized and tagged #THISislearning, education, Government, parenthood, parenting, protest, SATs, teaching on April 29, 2016 by sophieblovett. On Tuesday 3rd May, thousands of parents are planning to take a stand against a school system which is more interested in testing our children than it is in nurturing in them a love of learning. They will be adding their voices to the growing unrest that already permeates the teaching profession, and joining the call from the National Union of Teachers to cancel the SATs for 2016. By keeping their children home from school on that day, they want to send a clear message to the government that enough is enough, and that their children – all children – deserve more. We want to take things one step further. As well as fully supporting the kids’ strike on 3rd May, we want to use that day and the run up to it to flood the internet with inspirational learning moments: images, stories and activities that show just how much more there is to learning than the narrow focus of the SATs allows. Whatever the age of your child, whether they are at school or nursery or educated at home, we would like you to help us show the government what learning really looks like using the hashtag #THISislearning. If you’re a teacher, we would love to hear your thoughts too: this government has marginalised the expertise of education professionals for far too long. If you have a blog, you can link up your posts below to create a hub of inspiration in the run up to 3rd May and share what you and your child(ren) get up to on the day itself. If you are not a blogger then don’t worry – you can share your ideas and activities on your social media accounts, using the hashtag #THISislearning on Facebook, Twitter and Instagram. You can find out more about why we’re taking this action by reading Maddy’s post No, Mr Cameron, No, which inspired us with the fantastic response it received from parents and teachers alike, and the follow up, This is learning, Mr Cameron, as well as my post Why SATs are Bad for our Children, reflecting on the current situation from the perspective of ten years of teaching as well as life with a three year old. You can also join our Facebook group to keep up to date with latest developments, and please comment below or contact either of us directly if there is anything else you want to know. Link up any post (old or new) about inspiring children to learn, including fun activities people might like to try on May 3rd. Please grab the #THISislearning badge for your post to spread awareness of the campaign (copy and paste the HTML code to add it to your site). We will share your posts on Twitter in return. If you share your post on social media, please the hashtag #THISislearning. 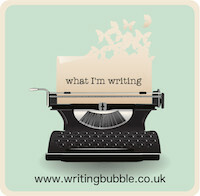 If you tweet us a link to your post @writingbubble and @sophieblovett then we will RT. Link up your post below – just click on the blue button that says ‘add your link’ and follow the instructions. We look forward to reading your posts! This entry was posted in Sophie is educating, Sophie is parenting, Sophie is pondering, Uncategorized and tagged #boycottSATs, #kidsstrike3rdMay, #THISislearning, Childhood, learning, SATs, schools on April 15, 2016 by sophieblovett. There are many moments that have stayed with me from my ten years of teaching. The overwhelming majority of them are positive, but there is one in particular that has been circling around my head the past few days that makes me feel so sad about what current government policy is doing to our children’s experience of learning. Early on in the first term of Year Seven, I often broached the question to my English class “What makes good writing?”. It’s a big question, and not one I ever expected to hear answered in its entirety, but still the responses that I got were pretty telling. The particular set of responses I remember was from Autumn 2012, just before I disappeared on maternity leave. Fresh from SATs preparation, hands shot up as I wrote the question on the board, and the answers spilled out proudly into the classroom: “varied sentence starters”, “correct use of conjunctions”, “fronted adverbial clauses”, “using semi-colons”. Now none of this is strictly wrong, of course – and I dutifully noted each response on the whiteboard before mooting my own ideas. But it was still incredibly deflating to hear it from a room full of eleven year olds. Where was the talk of imagination? Of storytelling? Of creativity? Where was the space for them to fly? It is this reduction of learning to rote mechanics that worries me most about the SATs, because the world doesn’t work like that – and yet in order for children to be able to succeed in these exams they have to be trained as if it does. When Key Stage 3 SATs were still around, I remember as an English department poring over questions trying to work out what it was they were actually getting at, and then teaching our students which right answers to put down for which type of question to make sure they got the marks they deserved. It was a preposterous waste of time and energy at a delicate stage in young people’s lives when the cocktail of hormones they were dealing with made the conventions of school pretty challenging anyway. Still, I can get the argument that (at least within the limitations of our current system) being able to ‘do’ exams is kind of necessary. And I can just about stomach the concept of putting thirteen year olds through that process – at least we could explain to them the whole idea of the hoops they had to jump through, and begin to separate out different types of learning so that the experience didn’t completely extinguish the fire within. I find it harder to justify for ten year olds, and I think it is such a crushing shame that children’s final year in primary school, a period in education which for many has been characterised by creativity and imagination, is reduced to drills and mock exams and learning ‘right’ answers to the most complex of questions making reopening the door to the potential for real learning a dauntingly challenging task in the years that follow. Except of course primary school isn’t really like that any more. Not since the reintroduction of KS1 SATs, where children as young as six are now expected to sit formal tests in spelling, punctuation, grammar, reading, arithmetic and reasoning. SIX! The notion of what constitutes correct answers is, from what I have seen, just as convoluted as it was in KS3 – and so drilling is, if teachers are not going to sacrifice the children in their charge (and themselves) on the pyre of government assessment, inevitable. And then of course there is the question of what all of this drilling occurs at the expense of. Play, for example, and creativity. Various other government initiatives are squeezing out the arts as children move up through the school system, but it is beyond belief that they should be marginalised at this crucial early stage. It goes against all of the research, the experience and the professional instinct that should guide our education system. When I admit that as a result of the regressive nature of government reforms I am reluctant to enrol my child in nursery, friends are quick to defend the relative freedoms that are still enjoyed in the early years. They go quiet when we get on to what starts to happen in year one. All of this is part of why I am no longer teaching, and is a major driver in my decision to home-educate my son – for the first few years at least. My approach as a teacher always meant that there was a degree of rallying against the system – I wanted to see my students grow as individuals, to try to find creative ways of managing assessment that did not compromise their own personal development. During the bulk of my career, it felt at least as if I was moving with the tide – that what I innovated with one year I could integrate the next as Labour education policy responded to the needs of teachers and schools. And then the Tories came to power. I could still be fighting the battle from the inside – I have untold respect and admiration for my former colleagues that are – but it is just so exhausting to have to make your classroom a fortress against the outside world, and I have a family to think about now. My son is three: he is curious, brave, funny, unique and creative. He has many subjects he is passionate about, and is developing his own clear preferences for how he likes to learn about them. I want to nurture those in him, to enable him to find his way through the world in a way that it keeps its wonder, and where he gets to cherish his uniqueness, not play it down to fit in within the system and win validation for himself, his teachers and his school. These KS1 SATs don’t give children levels; they don’t take a formative approach to identifying their strengths and areas for development; they don’t recognise that each and every child will progress in different areas at a different pace: they just indicate whether they have reached the required standard, whether they have passed or failed, whether or not they are ‘good enough’ at this stage in their lives. I cannot imagine putting my little boy through that in three years time. And it looks like I am not alone. A campaign is gathering pace to undermine the KS1 SATs with a children’s strike on the 3rd of May. Yet more parents are calling for a boycott of the KS2 SATs, where the expected standards have risen so sharply that children are being set up to fail more than ever before. Parents up and down the country are uniting to say that this dismantling of their children’s childhood is simply not OK, that to stop their kid’s learning in its tracks by subjecting it to meaningless assessment is not something they want to be a part of. My son is too young for me to be able to make a stand in this way, but I will be taking the opportunity on that day to demonstrate just what learning can look like when we set it free: to tell the story of our learning journey on this blog and on social media, to show how much fits into a day when it is not constrained by the need to learn to jump through hoops. If you too are angry about what current government policy is doing to our schools, teachers and most importantly our children, then I hope that you will join me. In response to our general disbelief at the way the government are decimating our education system, myself and Maddy from Writing Bubble have started a campaign to show them what learning really looks like. To find out more, check out our launch post and join our Facebook group. It would be awesome to have you on board. 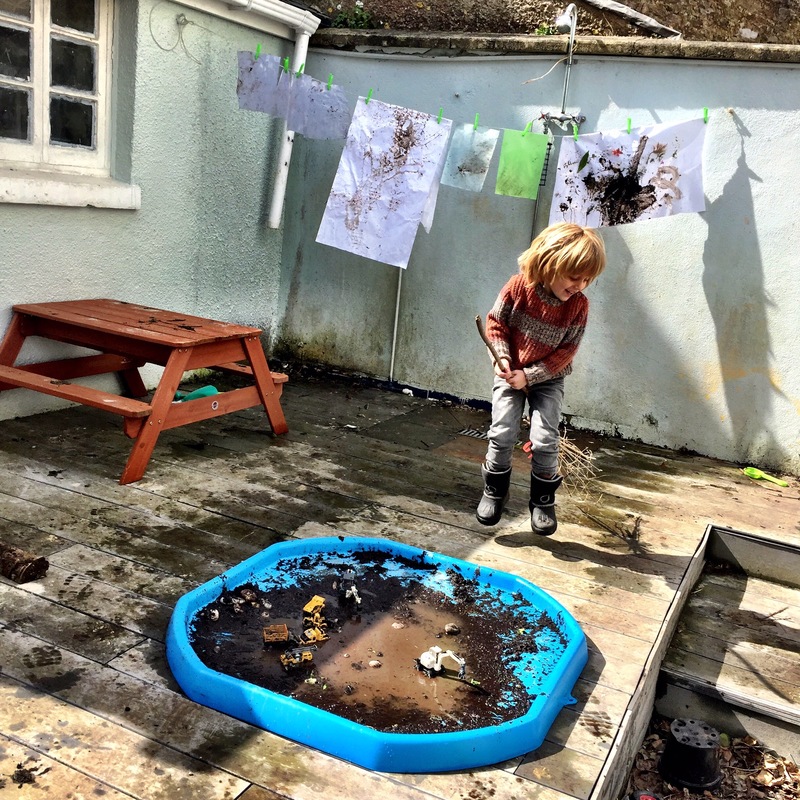 This entry was posted in Sophie is educating, Sophie is parenting, Sophie is pondering, Uncategorized and tagged #boycottSATs, #kidsstrike3rdMay, #letthekidsbekids, #THISislearning, Early Years, education, learning, SATs, teaching on April 12, 2016 by sophieblovett.